Top 10 Best Mixer Taps in India 2019 - Top 10 In India - Only The Best of everything! LATEST product list, updates regularly! You can use a mixer tap in your bath, basin or kitchen sink. 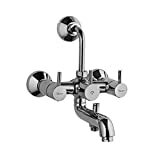 A mixer tap combines your hot and cold water and makes it flow out from a single spout. In effect you can mix the hot and cold water to get the right temperature of water to use. 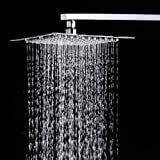 This is useful in winters when it gets very cold and the water is just too cold to use. This cold water is too cold for a bath or even to do the kitchen dishes. With a mixer tap and water coming in from the regular tap and the geyser or water heater, a comfortable temperature can be maintained for anything. Mixer taps are available in a variety of styles and can go from reasonable to extremely expensive depending on your tastes and budget. 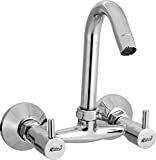 When buying a mixer tap you should pay close attention to the faucet or what is also known as the nozzle, or the part from which the water comes out. 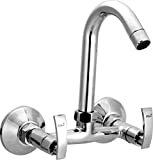 Normal mixer taps have faucets that channel the water out and gravity does the rest, however some superior quality taps let you alter the flow of water to your convenience. 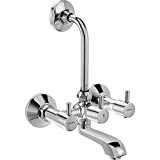 Another excellent feature is an aerator, which you must have experienced in taps in nice hotels. The water flow is even, there is very little splashing and it feels overall more luxurious. The reason is that an aerator is like an water flow constrictor that mixes air in the water. Among its main benefits is reducing the amount of water being used and preventing splashing when the water hits the basin. These top 10 best mixer taps in India feature the top bestsellers which are the most popular in India. 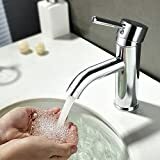 You will find the best brands and the latest models of mixer taps as the list is updated every day. 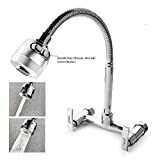 This 2-in-1 Contessa wall mixer can easily be wall mounted and has provision for an overhead shower with 115mm long bend pipe. Highly reflective mirror-like chrome finishing. 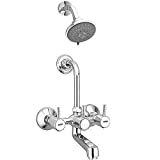 Single lever allows for easy volume and temperature control. 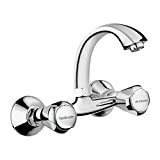 Ideal for bathroom and Kitchen Mixer.